With her debut novel, “The Odd Muslim” (published by Lulu), Noreen Mirza hopes to counter the growing Islamophobia she sees by advocating for love and tolerance, as well as encourage female empowerment. The book follows Shazia, a Muslim woman whose home is vandalized in a gated community in Allentown, Pennsylvania. 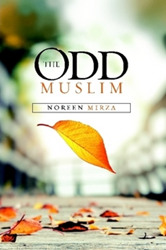 The book is available for purchase at: https://www.amazon.com/Odd-Muslim-Noreen-Mirza-ebook/dp/B07CHYCBK1. Following the attack on Shazia’s house, in a series of flashbacks she recounts the story of her experience attending one of New Jersey’s state colleges, to her neighbor. Through Shazia, the reader is introduced to many diverse Muslim characters and given an understanding that like all people, every Muslim has their own personality. Each character helps shape Shazia and helps her grow as a person. In return, she brings them together to accomplish a higher goal of promoting tolerance. Noreen Mirza was born and raised in Marlboro, New Jersey. After graduating from Rutgers University, she attended New York Law School. She is currently a lawyer residing in Alpharetta, Georgia; she has been practicing law for over seven years. “The Odd Muslim” is Mirza’s first novel. Lulu empowers people of all ages to explore and express their interests, passions and expertise through books, photography and art. Since introducing self-publishing in 2002, Lulu has empowered creators in more than 225 countries and territories to produce nearly two million publications. Lulu Jr. allows children to become published authors, encouraging creativity, strengthening literacy and building self-esteem. Picture.com offers professional photography of collegiate and professional sports, memorable and historic events, fine art and home décor. For more information, please visit lulu.com.